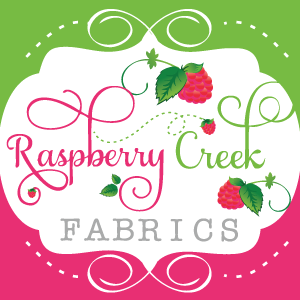 This week, you might have noticed some of your favorite bloggers sharing about why they sew as part of Sewing Mama Rae Anna's fun series. I'll be honest, I had to think about this a little bit. Why do I sew? I used to joke that I took up sewing as a hobby to get away from my kids-- and I was only partly kidding! As a mom of two under two, I cherished having a few hours to myself to sew up a project and feel like I accomplished something. I always came back to my kids refreshed and in a much better mood. I'll be honest, I love the process of sewing and knitting more than I do using the finished project. This striped shirt was only worn for the photo shoot-- but I still love it because I was able to try out a few techniques. Now as my kids get older, I find my self needing a 'break' from my kids less and less. And instead, sewing and crafting has become something that we can do together! 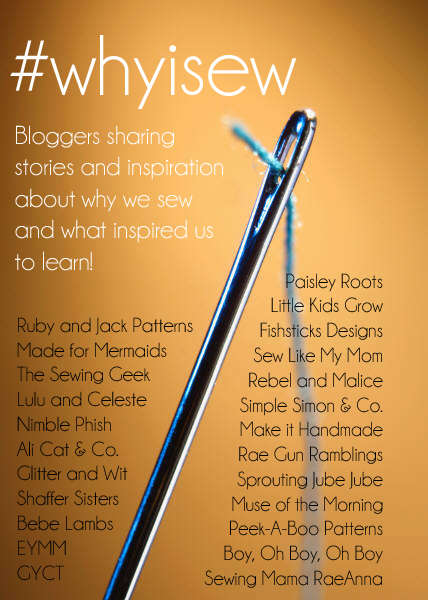 Check out the stories behind these other sewing bloggers, or add your own at Sewing Mama Rae Anna's site.